Our client who’s fast becoming one of the most innovative Private hospitals within their field of Mental Health are looking to expand its team on a junior and senior level we are looking for a number or Forensic RMN’s whom have had exposure within Male Adult Settings / Adolescent Settings or has been working in the community and wanting to return back into a ward setting. You will also be responsible for assisting in providing a safe and therapeutic environment for all who use and work in the hospital. You will also be responsible for ensuring all clinical documentation / procedures comply with all applicable legislative and statutory requirements. We are looking for RMN’s whom will be ambassadors, Nurses whom wish to be valued who’s opinions count and whom we can rely on to deliver a positive approach to nursing. If you are looking to work within a gender specific hospital and springboard your career and have the opportunity to develop your expertise within mental health in other areas then we want to hear from you. Ideally you will be 2 years post qualification and wiling to work to a rota which will include weekends, there will be an opportunity to diversify into other areas of mental health nursing such as Adolescents as the hospital continues to develop its patient portfolio and in turn offer opportunities to all staff. 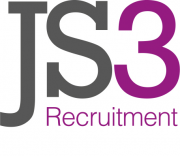 Should you know anyone who may be seeking an opportunity then JS3 offer a referral scheme. Please refer to our website www.js3recruitment.com for more details. Applicants must have the right to work in the EU as we are unable to provide sponsorship or assistance.